Hannah Hwang is a Korean-American high school student living in California. She has been involved in charitable activities for the past few years, including fundraising for a well in India and making/selling necklaces to support victims of domestic abuse. Visiting Canaan, Haiti in 2017 inspired her to create 3 Generation Education to help those in very challenging circumstances fulfill their potential. 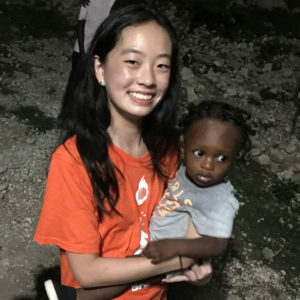 In addition to founding 3 Generation Education, Hannah is also the President of Valley to Valley, a program that invites high school students of Silicon Valley to make a difference for the students of Canaan Valley in Haiti. 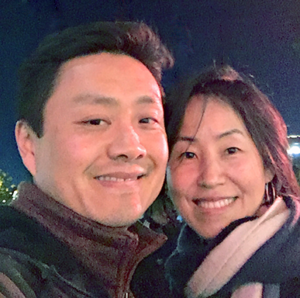 Ji and David Hwang met and married in New York City. As Ji and Dave were raising their two daughters, they wondered what the family could do to truly impact those in need. With mentorship and support from family friends, they walked the Camino de Santiago to raise the money needed by Living Waters International to build a well in India. The family has also been sponsoring children in Kenya attend high school, whose families have been decimated by the AIDS epidemic. In 2017, they met Pastor Arthur Demosthenes and heard about his work with the Haitian people displaced to the mountains of Canaan (near Port-au-Prince) by the devastating 2010 earthquake. After raising funds to help Pastor Arthur build a 6th-grade classroom, they visited Canaan and were moved by the people they met. 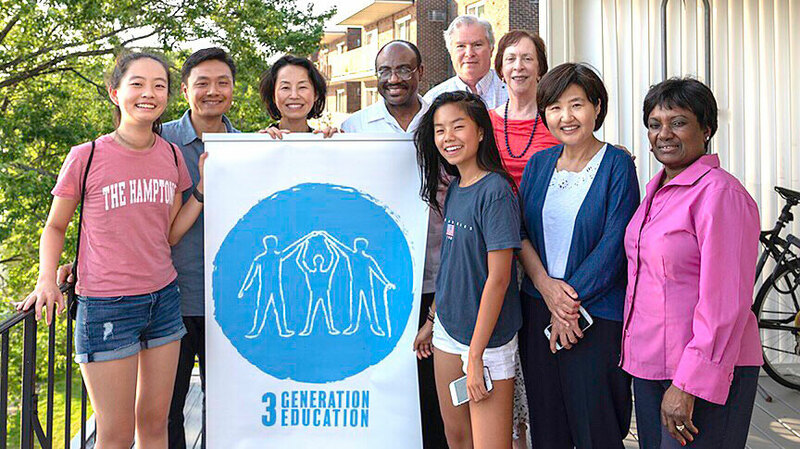 When Hannah started 3 Generation Education in response to her Canaan visit, they were excited to join the organization and are grateful for the opportunity to contribute to its mission. Karen L. Grossman grew up in a small town near Pittsburgh, PA. She earned a B.S. from Syracuse University and an M.Ed. from Boston University. Karen has assumed leadership positions in professional and local nonprofit organizations: the Massachusetts Speech Language and Hearing Association (MSHA), the Friends of Spy Pond Park (FSPP), and the Mystic River Watershed Association (MyRWA). Fred Moses is a Boston area photographer with over 25 years of experience. His primary concentrations are product, portraiture, and travel stock photography. In addition, he makes both images and computer-aided design tools for jewelers. Travel and environmental portraits of people working are Fred’s special loves. Degrees from Washington University in Engineering Sciences prepared him for a parallel career in software engineering and management. Fred’s parents were his charitable models. They spent years in Afghanistan and India providing medical and public health aid. Fred and Karen are honored to lend a hand to Hannah and her budding philanthropic 3 Generation Education. Arthur Demosthenes was born and raised in Haiti and did his undergraduate and graduate studies in the United States. As a child, he was passionate about learning and teaching. When he became a young adult, he found it was natural for him to become a high school teacher in a variety of subjects. After formal ministerial studies, he became a conference speaker, a church planter, and a pastor for 2 congregations in Massachusetts alongside his wife, Marie. Marie Maude Demosthenes was born in Haiti and raised in the United States. She was blessed in that she was among the first generation of immigrants from Haiti to complete high school and college. As a teenager, she says God has graced her to be a soloist to uplift his people in the church. As Maude understood better her calling and discovered her gifts as a Sunday School teacher, she became a missionary, a choir leader of various groups, and helped create churches. Arthur, Maude and their family have visited Haiti several times a year for the past 8 years, and are looking forward to continuing to serve in Haiti and beyond, through 3 Generation Education. 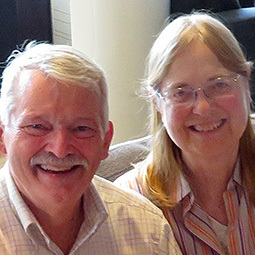 Bill and Judy Long are honored to be serving as Advisory Board Members for 3 Generation Education. Bill has a Ph.D. in Computer Science from Massachusetts Institute of Technology where he worked as a research scientist until retiring in 2013. 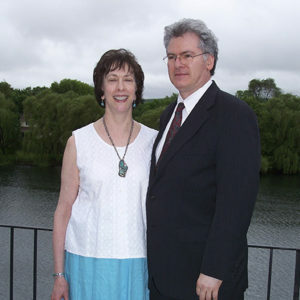 Judy was an elementary school teacher in the Waltham, MA public schools for 36 years. 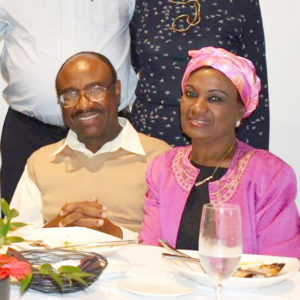 Both have been active in missions, serving on the missions committee at Grace Chapel for a number of years. 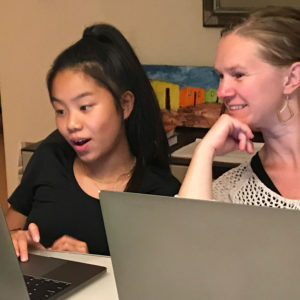 They have had an active ministry with international students for more than 30 years, meeting and befriending them and having monthly group dinners and programs for international students. The Longs have been involved with Arthur and his work in Canaan for the past three years, first by sending many of Judy’s elementary school books and materials to Canaan, collecting wedding dresses, and helping with each of the succeeding projects. Jina Hwang and Angela Stucky are Designers from Northern California. They work closely with 3 Generation Education to bring the organization’s message to life, in print, and on the web. Deeply inspired by the mission of 3GE, they are excited about the organization’s future. They look forward to meeting people they can help and learn from. As a member of the Hwang family, Jina is also a co-founder of the organization, has served in many of its on-the-ground efforts, and is the director for 3GE’s outreach and design. 3 Generation Education is a 501(C)3 U.S. nonprofit organization.